This is a package of 12 salon grade hair extension feathers. These feathers are Grizzly natural brown genetics. These feathers are genetically raised saddle hackles from roosters specially bread for their long luxurious feathers, these are NOT your normal barnyard roosters. 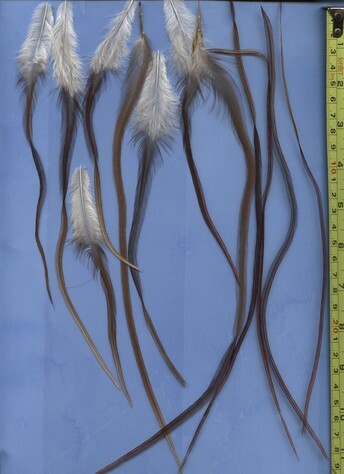 The feathers range in length from 8 inches to 11 inches.